Listed below are the online courses LinuxChix hosted prior to 2013. Courses were conducted between 2002 and 2012. 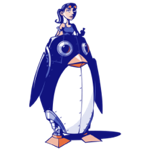 Most courses took place on the LinuxChix Courses mailing list, and the full discussions surrounding each course -- including the lessons, questions from students, and problems solved -- can be seen in the list archives. Discussion links here take you to the very beginning of the course, but discussion continues throughout the course, often spanning many months. If there are no discussion links, the course was not conducted on the Courses mailing list. Description: This course is a combination of two C courses conducted in the same year. Description: This course is an introduction to Perl. Description: This course is a kind of a buyer's guide: what should you look for in a domain name, where should you buy it, what can you do with it? Description: Useful random system administrator and user commands. Description: A course on collaborating on software and software projects. Will cover general knowledge and then version control systems. Description: A series of posts from LinuxChix about their computing careers. Description: The title I really wanted for this course was "how-not-to-be-a-doormat-but-instead-a-confident-person-who-gets-what-she-wants-and-doesn't-waste-half-her-life-kicking-herself-for-being-a-spineless-wuss." Which is a bit awkward, so instead I'm going to call it "Spineful Living," which I hope conveys the same message. Sometimes a course doesn't quite get off the ground, because the instructor suddenly gets too busy or for other reasons. But even a partial course can have useful information in it. Description: This tutorial will comprise of designing and implementing a security infrastructure for a small company. The basic concepts will scale up to an enterprise or down to a single host. Description: The goal of this course is to network multiple home PCs, share files between them and to enable them to all connect to the internet. Description: A course in the use of the database management system, Postgresql. Although much less popular than its cousin, MySQL, it is, in fact, more robust, more powerful, and often faster. We'll cover installation, server administration, command-line client use, as well as remote connections via web and ODBC.